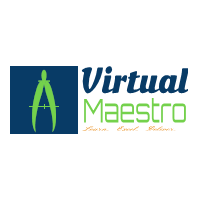 Virtual Maestro: How to add Identity source in vCenter 6.0 Single Sign On? How to add Identity source in vCenter 6.0 Single Sign On? Login to vCenter Web client and on home screen, navigate to Administration section from navigation menu as highlighted in below screenshot. Click on Configuration and then click on green “+” symbol in middle pane as shown in below figure. Once you click add symbol, Identity source details window will pop-up. Select correct identity source as I have selected AD over LDAP and then enter other details as shown in below figure. Once entered all details, click “TestConnection” button. If all information is correct, you should get connection established box. Click OK to close it. Click OK on identity source details window. Once we are completed with this, we should have our identity source added to the list as shown in below figure. Newly added identity source later can be used to search users/groups while granting permissions. I just wanted this post because I am facing the problem to add identity source in vCentre and best assignment help uk share wonderful idea's. But after this post I got the right tips to do this. So thanks a lot for this because it really means to me especially at this time.